Give the men's and women's basketball teams a marvelous Maverick send-off for the Sun Belt Conference Championship tournaments. The women’s basketball send-off is at 3:30 p.m. today, Tuesday, March 8, and the men’s basketball rally is at 5:30 p.m. Wednesday, March 9. Both will be on the west entrance to College Park Center and last about 15 minutes. Read more about the basketball teams in the Sports section. Tickets to see primatologist and conservationist Jane Goodall for the Maverick Speakers Series are sold out. 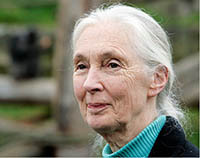 "Gombe and Beyond: An Evening with Dr. Jane Goodall" begins at 7:30 p.m. Thursday, March 31, at College Park Center. A student question-and-answer session follows the event. MyMav will be unavailable from 6 p.m. Friday, March 11, until 6 a.m. Monday, March 14. The Office of Information Technology will perform essential maintenance to improve the performance of the MyMav system. During this maintenance window, users attempting to access this system will receive a scheduled maintenance notification page. Visit the OIT status page for updates about the maintenance. For questions, contact the Help Desk at helpdesk@uta.edu or 817-272-2208. 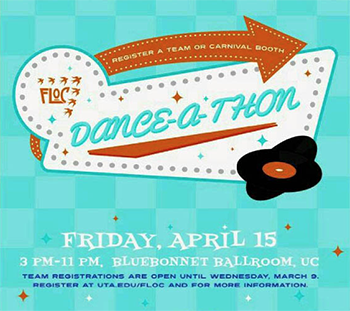 The second annual Dance-A-Thon benefiting the UTA Emergency Assistance Fund is recruiting student organizations to register a dance team or a carnival-style activity booth. Register by Wednesday, March 9, at the Freshmen Leaders on Campus website. The Dance-A-Thon on Friday, April 15, is a '50s-themed event with a live DJ, carnival games, and dance performances. Plan for delays and detours in downtown Arlington during construction of the 101 Center Street development project. two lanes and one sidewalk on Mesquite Street between Front and Abram streets. The Dan Dipert University Welcome Center is hiring MavElite student workers for summer and fall. Positions include tour guides (SNAP Job 8855) and campus visit assistants (SNAP Job 8856). Applications will be accepted through Wednesday, March 30. The Students Needing A Part-time Job (SNAP Job) system lists a variety of jobs for students. Register at uta.edu/snapjob. For more details, contact the SNAP Job office at snapjob@uta.edu or 817-272-3463 or come to the SNAP Job Office and computer lab in Room B200 of the Wetsel Service Center at 140 West Mitchell St. The SNAP Job office hours are 8 a.m.-5 p.m. Mondays-Fridays. For other help in finding a job, contact the Center for Career Development at careers@uta.edu or 817-272-2932. 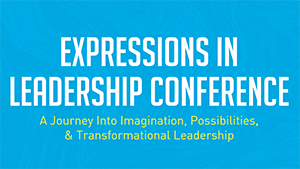 Register now to guarantee your place at the Expressions in Leadership Conference sponsored by UTA’s Leadership Center and Student Activities and Organizations. The conference targets the skills development of student leaders, organizational executive boards, and members involved in student-run organizations. The day-long conference focuses on practical and leadership skills and relationship building. Audrey Chisholm, a music industry attorney and author of Start Your Music Business and Run Your Music Business, is the keynote speaker. The conference is 8 a.m.-3:30 p.m. Saturday, March 26, at the Hilton Arlington, 2401 E. Lamar Blvd. Register online for $10 at uta.edu/leadership. The Maverick Connection, published in the fall semester, contains contact information for University departments, employees, and students. Help Student Publications and Student Congress better serve you with this directory by taking this short, four-question survey about the campus telephone directory. A UTA-themed Texas Rangers cap is waiting for you when you buy tickets now for the game Friday, Aug. 26, when the Rangers take on the Cleveland Indians. Get your ticket before Tuesday, March 15, to guarantee your one-of-a-kind cap. Buy tickets online for the promotion. Claim your cap on game day at Globe Life Park. More caps will be distributed on a first-come, first-served basis for fans purchasing after March 15. Representatives of Volunteer Income Tax Assistance (VITA) are available to help with figuring out your taxes. The free service runs through Tuesday, April 12, in Room B20 of the Central Library. Hours are 5-9 p.m. Mondays-Tuesdays, 9 a.m.-8 p.m. Saturdays, and noon-6 p.m. Sundays. Lend a hand at the Annual Celebration of Excellence by Students (ACES), a University-wide symposium highlighting the best in student research and creativity. 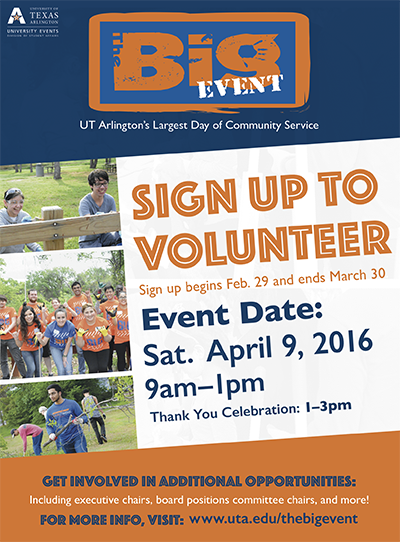 Faculty, staff, and students can serve as volunteers. Shifts for morning or afternoon sessions are available. Register to volunteer. ACES is Wednesday, March 23, in the E.H. Hereford University Center. Midterm grades available in MyMav Student Center. Last day to drop classes. Midterm progress reports will be posted for many undergraduates now through Wednesday, March 23. The faculty deadline is March 23, but instructors can report progress report grades at any time before then, and you can view your progress reports as soon as the grades are entered. After the Census Date, you may drop classes through the last drop date, Friday, April 1, and a grade of W will appear on your transcript. Students must meet with their academic adviser or designated representative in the major academic unit to drop one or more classes. Check the list of advising offices. Students who entered a Texas public college or university in fall 2007 or later are subject to the state law that limits undergraduate drops to six courses. Work with your academic adviser to ensure you know how this limit will impact you. If a class is dropped after the Census Date and you remain enrolled, you are financially responsible for the full cost of the course. If you drop all classes, you are responsible for the pro-rated share of tuition, fees, and charges. Financial aid recipients should meet with a financial aid officer to determine how dropping will affect their financial aid package. The Financial Aid Office is in Room 252 of Davis Hall. Call 817-272-3561 for details. Priority registration opens for summer and fall terms Monday, April 4. Advising is already available in your academic department. UTA now offers transcripts in PDF format. Students can send PDF transcripts by email to another university, a potential employer, or themselves. Professional application services that now accept PDF transcripts from UTA include: AMCAS (American Medical College Application Service), LSAC (Law School Admission Council), SOPHAS (Schools of Public Health Application Service), and others. Read about ordering transcripts on the UTA transcript website. 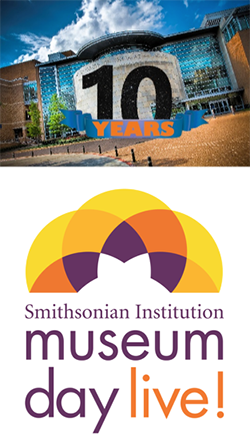 The Planetarium at UTA offers free admission to shows Saturday, March 12, for Museum Day Live!, an annual event hosted by the Smithsonian Institution. Enjoy free shows and demonstrations, talks, and handouts on science, technology, engineering, and mathematics. Free Planetarium shows include Cosmic Colors at 1 p.m.; From Earth to the Universe at 2:30 p.m.; Dark at 5:30 p.m.; and Pink Floyd: Dark Side of the Moon at 7 p.m.
Two lectures are planned. Nila Veerabithina, senior lecturer of physics, speaks on "Women in Astronomy: Past, Present and Future" at 3:30 p.m., and Sonja Godeken, lecturer of mathematics, talks at 4:15 p.m. Demonstrations are solar observing (weather permitting) with the Fort Worth Astronomical Society at 1-5 p.m. and chemistry experiments with the UTA Science Ambassadors at 2-5 p.m.
More shows will be added to the lineup for Spring Break, March 14-18. Tickets for Planetarium shows are $3 for UTA students; $6 for adults; $4 for seniors, youth, and children; and free for ages 0-2 years. See the Planetarium schedule for more details. Faculty Percussion Recital Andrew Eldridge, senior lecturer of music, performs. Free. 7:30 p.m., Irons Recital Hall, Fine Arts Building. Music. Wind Symphony Concert Tickets $9 general public, $6 students, seniors. 7:30 p.m., Irons Recital Hall, Fine Arts Building. Music. Film Screening: 'He Named Me Malala' The story of the youngest winner of the Nobel Peace Prize, Malala Yousafzai. After being shot by the Taliban for sticking up for women's educational rights in Pakistan, Malala has become a champion for the 60 million girls worldwide who are deprived of an education. Gift basket raffles to benefit the Malala Fund. Free admission, popcorn, and drinks. 6-8 p.m., Lone Star Auditorium, Maverick Activities Center. MalalaMavs. Woodwind Chamber Recital Free. 5:30 p.m., Irons Recital Hall, Fine Arts Building. Music. Friends of the Library Carmen Goldthwaite, author of Texas Ranch Women. 7:30 p.m., sixth floor parlor, Central Library. Friends of the Library, UTA Libraries. Music Concerts and Recitals Free. Guest Recital with the Duo Sacromonte, Monday, March 21; UTA Flute Studio and Maverick Flute Choir Concert, Wednesday, March 23; University Singers Concert, Thursday, March 24; Faculty Vocal Recital with David Grogan, Monday, March 28; Clavier Recital, Tuesday, March 29; Double Bass Studio Recital, Wednesday, March 30; and Faculty Double Bass Recital with Jack Unzicker, Thursday, March 31. All 7:30 p.m., Irons Recital Hall, Fine Arts Building. Music. UTA Libraries: 'Score' Using Special Collections photos, the exhibit showcases the early days of baseball, basketball, and track; the end of Maverick football; and Olympians and Paralympians from UTA. Through April. Also, "Academic Evolution: The University of Texas at Arlington” runs through August. Sixth floor, Central Library. UTA Libraries. K-12 Focused Technology Series Explore online learning in K-12 and higher education. Makerspaces and UTA FabLab, noon-1 p.m., Room 111, Trimble Hall. Also, Jim Holland, Google Classroom, Canvas, and anything related to LMS/CMS, March 22 and 29. Education. Women's History Lecture Amy Richards, activist and author, “Enough: The Good Enough Woman.” 7 p.m., sixth floor atrium, Central Library. Women's and Gender Studies. Walter Prescott Webb Memorial Lecture en Espanol Pablo Yankelevich, Universidad Nacional Autónoma de México, "Entranjeros Indeseables, Leyes y Practicas Sociales En Mexico Revoluvionario." 2 p.m., San Saba Room, E.H. Hereford University Center. History, Center for Mexican American Studies. MLA Citation Webinars Online instruction using Google Hangouts as hosting platform. Space is limited. RSVP to simpsonc@uta.edu. 6:30 p.m. UTA Libraries. Walter Prescott Webb Memorial Lectures The 51st annual program presents lectures on the topic "Deportations in the Americas: Histories of Exclusions." See the schedule. 9:30 a.m.-9 p.m., E.H. Hereford University Center. History, Center for Mexican American Studies. Film Screening: 'Age of Champions' A screening of an award-winning and inspiring documentary following five older adults who sprint, leap, and swim for gold at the National Senior Olympics. A discussion follows with panelist Chris Ray, associate dean for research for the College of Nursing and Health Innovation; Clay Krames, a gold medal Senior Olympian; Chelsea Couch of the Texas Department of Disability and Aging Services; and Sydney Farrier, a social worker. 5-8 p.m., Room 109, Social Work Building A. Social Work. Materials Science and Engineering Seminar Series Csaba Janaky, University of Szeged-Hungarian Academy of Sciences, “Hybrid nanoscale Architectures of Semiconductors and Carbon Nanomaterials: Synthetic Aspects and Photoelectrochemical Applications.” 10 a.m., Room 601, Nedderman Hall. Materials Science and Engineering. Annual Celebration of Excellence by Students The University-wide symposium highlighting the best in student research and creativity. Wednesday, March 23, E.H. Hereford University Center. Annual Celebration of Excellence by Students (ACES). RAD Self Defense Class Self-defense course for female faculty, staff, and students. Register online. Free. 9 a.m.-6 p.m., March 26, April 9, Room 102-B, Maverick Activities Center. UTA Police. CPR/AED/First Aid Class A single, five-hour class covering the American Red Cross first aid basics, medical and environmental emergencies, adult CPR, and AED use. Registration at MAC Services and Information desk. $50. 10 a.m.-3 p.m., Room 223, Maverick Activities Center. Also, Saturdays, April 9 and May 21. Campus Recreation. Architecture Lecture Mohamed Keshavjee of the Institute of Ismali Studies in London, author of Into That Heaven of Freedom: The Impact of Apartheid on an Indian Family’s Diasporic History. 5 p.m. Monday, April 18, auditorium, Architecture Building. Art and Art History. Career Development Job search assistance, including résumé reviews and interview and networking tips; employer events, such as information sessions and on-campus interviews; and career development assistance are provided. Upcoming events are on the website. Call 817-272-2932 for an appointment. Career Development Center. 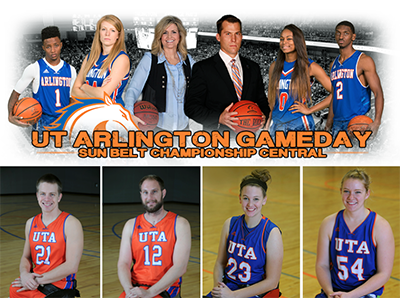 Championship season: UTA's four basketball teams head to championship tournaments this week. The men's and women's teams play in the Sun Belt Conference Women's and Men's Basketball Championship Wednesday-Sunday in New Orleans. Top from left, are Erick Neal, Rebekah VanDijk, women's coach Krista Gerlich, men's coach Scott Cross, Cierra Johnson, and Kennedy Eubanks. The Movin’ Mavs and the Lady Movin’ Mavs wheelchair basketball teams are ranked No. 2 in their divisions going into the NWBA Intercollegiate Division National Championship Tournament Thursday-Saturday at Edinboro University in Pennsylvania. Bottom from left, Movin' Mavs top scorers are Andreas Kraft, Jan Gans, Abby Dunkin, and Rose Hollermann. The 2016 Sun Belt Conference Women's and Men's Basketball Championship are set for Wednesday-Sunday, March 9-13, at Lakefront Arena in New Orleans, as eight teams each compete for a berth into the NCAA Basketball Championship Tournaments. UTA's men's team locked down the third seed for the Sun Belt Championship tournament by running past Troy 90-55 Saturday at College Park Center. The Mavericks are 22-9 overall and 13-7 in conference play. The team earned a first-round bye for the league tournament. Third-seeded UTA will open in the quarterfinals at 7:30 p.m. Friday, March 11, against the winner of Thursday's first-round matchup between No. 6 Georgia State and No. 7 Texas State. The women’s basketball team fell 80-70 to Troy Saturday at College Park Center for a 15-15 overall record and 10-10 in Sun Belt play. The team is the No. 6 seed, taking on No. 3 Louisiana-Lafayette in the first round at 7:30 p.m. Wednesday March 9. 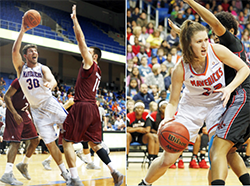 The Lady Mavericks are making just their second-ever appearance in the SBC tournament. Keep up with the men’s action on ESPN3 and 1630 AM. Watch the women’s game live on ESPN3. Tickets are available at utatickets.com. The Movin’ Mavs and the Lady Movin’ Mavs wheelchair basketball teams are ranked No. 2 in their divisions going into the NWBA Intercollegiate Division National Championship Tournament. The championships are Thursday-Saturday, March 10-12, at Edinboro University in Pennsylvania. The men’s team secured the No. 2 seed with a 12-2 college record and an overall 17-4 record and is seeking its first national title since 2006. They will be led onto the court by top point scorers Andreas Kraft and Jan Gans. The game starts at 10 a.m. Thursday against No. 7 Edinboro. The Lady Mavs will face No. 3 seed and defending national champion Alabama at 6 p.m. Thursday. The Movin’ Mavs bring an overall 16-6 mark with top point shooters Rose Hollermann and Abby Dunkin. Hollermann, a member of the 2012 U.S. Women’s Paralympic team, and Dunkin are both hopefuls for the 2016 U.S. Women’s team. The tournament will be webstreamed live at www.nwba.org. Senior Roland Sales has qualified for the 2016 NCAA Indoor Track and Field Championships in the high jump. Sales is tied for sixth nationally in the event based on his school-record clearance of 7 feet, 2½ inches achieved in early February. 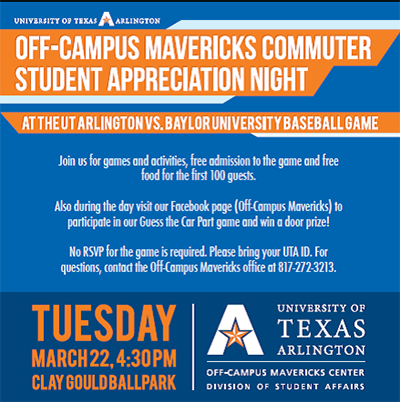 The meet will be held Friday-Saturday, March 11-12, at the Birmingham CrossPlex in Birmingham, Ala.
UTA’s baseball team took three out of four in a series against Texas A&M-Corpus Christi last weekend at Clay Gould Ballpark. The Mavs play TCU at 6:30 p.m. today, Tuesday, March 8, in Fort Worth. Sun Belt Conference play begins against Arkansas State at 6:30 p.m. Friday, March 11; 2 p.m. Saturday, March 12; and 1 p.m. Sunday, March 13, at Clay Gould Ballpark. The Mavs are 8-5 overall. An undefeated Maverick softball team swept a three-game series against Southeastern Louisiana 5-0 Sunday and is now 18-0 for the season. The Mavs return to Allan Saxe Field this weekend for the Maverick Classic when they host Arizona, Samford, and Texas. UTA faces Texas at 6 p.m. Friday, March 11; Samford at 1 p.m. and Arizona at 6 p.m. Saturday, March 12; and Samford at 11 a.m. Sunday, March 13. A 4-2 win by the men’s tennis team against Wichita State on Saturday afternoon pushed the Mavs to 10-5 for the season. The team plays in a tournament Friday-Sunday, March 11-13, at Sacramento State. UTA’s women’s tennis downed Temple 6-1 last Thursday at the UTA Tennis Center, improving to 6-1 for the season. The Mavs play Penn today, Tuesday, March 8, at home. The men's golf team finished seventh in the Louisiana Classics on Tuesday. Upcoming intramural sports deadlines are MavStrong competition, Thursday, March 10; NCAA Tournament pick 'em, Thursday, March 17; NCAA Sweet 16 bracket challenge and fantasy baseball, Thursday, March 24; sand volleyball, Friday, March 25; badminton doubles, Friday, April 1; table tennis, Thursday, April 21; wheelchair football, Monday, April 25; battleship, Monday, May 2; FIFA video game, Wednesday, May 4; and poker tournament, Thursday, May 5.